1. Contact your local and adjacent county animal shelters, animal control offices, and vet offices to see if anyone's reported the pet missing. Lenoir County SPCA: 252-520-0003, noon-4 pm, Monday-Saturday. 3. Visit a county animal shelter or vet office to have the pet scanned for microchip. 5. We'll post the pet on our Facebook page if you live in Lenoir or adjacent counties. Send us a Facebook message including a photo, brief description, where/when you found the pet, and a contact number. Monitor the post for updates. Let us know if the pet has been claimed. Anyone who calls should be able to fully describe their pet & provide proof of ownership (photos, vet records, etc.). 6. Post the pet on other lost/found pet social media sites such as Facebook's Lost & Found Dogs-NC. Monitor the post for updates. Again, give minimal info in the description. Anyone who tries to claim the pet should be able to fully describe their pet & provide proof of ownership (photos, vet records, etc.). 7. Always protect your personal info & safety when dealing with the public or utilizing social media. If you plan to meet a potential owner, meet at a vet's office or other public place and take another person with you. Let others know where you are going and who you are planning to meet. 8. More information on what to do if you find a homeless dog from Missing Pet Partnership HERE. Call the shelter for an appointment so staff/volunteers can make room for the animal. We are always overcrowded and the number of animal intakes can vary greatly each day. Some days there is simply no kennel space, but the staff will do what they can to help you as quickly as feasible. 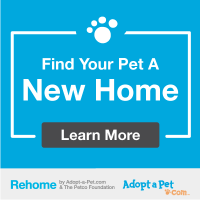 Please know we cannot guarantee any pet's adoption. Sadly, our small shelter receives an average of 9 new homeless pets every single day, primarily because folks won't spay/neuter. Despite our best efforts to reunite/rehome shelter animals, there are just too many adoptable pets & not enough placement options for them. Even so, it is still better for an animal to come to our shelter if you cannot safely & responsibly care for it.